Museums are under a great deal of pressure these days to keep moving and changing. Increasingly motivated by a drive to broaden their appeal, to become more relevant or to accommodate or grow visitor numbers, they take their mission very seriously and seek in the best possible way to please their audiences. But, on occasion, this can misfire - when the audience is more attached to the old way of doing things than they realized. The Natural History Museum in South Kensington closed its doors two years ago and took the "shocking" decision to remove the skeleton of diplodocus dinosaur from the main arrival hall and replace it with the skeleton of a blue whale. The reason for the controversy is that audiences are very attached to the dinosaur (even giving it the nickname of "Dippy") and they think of the dinosaur as synonymous with the NHM. What they don't know is that Dippy is not actually a real skeleton but is, in fact, a plaster-cast, and the Museum are fed up with this being their signature piece. They are committed to their message being about the need to conserve the natural world, and of course no one is worrying about dinosaurs becoming extinctâ€¦. 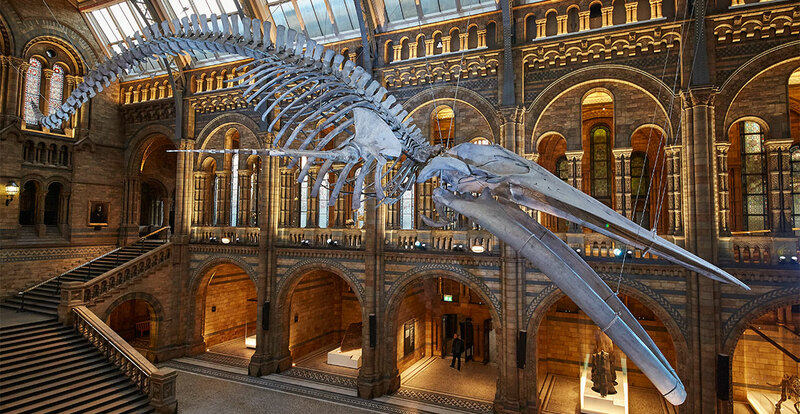 So the Head of Mammals championed the move of a 25m/82ft long blue whale skeleton from storage to replace Dippy as the main attraction â€“ blue whales are very much in need of conservation. It's a fascinating story - one that demonstrates the kind of affection that visitors can develop for exhibits. But it also shows how challenging it can be to really communicate a specific message within a museum. People have not been visiting the Natural History Museum necessarily to absorb their message about conservation, but rather because they have developed affection for the extraordinary casts that have captured their imagination since childhood. For some time now the Museum has been working to demonstrate its relevance and position in society, and they feel it necessary to be more explicit about that purpose â€“ the purpose being the conservation of the natural world. The museum have made a concerted effort to be transparent about the reasons behind the change and let visitors in on the behind-the-scenes processes and considerations that go into making a decision like this. Interestingly, the NHM have christened the Blue Whale 'Hope'. Here's a brief article from about the project thatâ€™s really worth reading. And here's the full BBC Horizon documentary with commentary by, guess who, David Attenborough.